Parents take into consideration the quality of education, reputation, results, etc. when selecting a school for their children. However, what really shows the caliber of a school’s management and its dedication to the convenience of the parents, children and the overall community is how well it manages the dismissal time. The sight outside most schools at dismissal is chaotic. The long lines of vehicles, congestion and the resulting traffic jams are frustrating for parents, children and anyone living in the vicinity. Most importantly, this turmoil may result in undesired incidents such as lost children, injuries from traffic accidents, property damage and what not. QManager is an ingenious and modern-era solution to such a widespread issue that has existed for many decades. It has been designed for schools to manage dismissal queues efficiently. School staff and the parents download the application on their mobile devices e.g. smartphones and tablets, to allow two-way communication that makes the dismissal process faster and safer. It moves the sign-in and sign-out process to smartphones and tablets, reducing the need for paper and walkie-talkies. 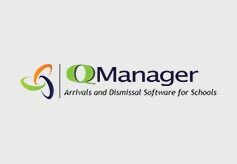 Here is how QManager will make dismissal queue management easy at your school or camp. Not only is it unfriendly for the environment to use paper but it also lengthens the time it takes for parents to sign-in and sign-out their children. When you are using paper for taking parents’ signatures for dropping and picking up their children, they have to park their vehicles and walk to the register for signing. This extra amount of time might look small on the surface but when hundreds and thousands of parents have to sign their children out one by one, it results in an enormous queue of vehicle outside the school and extraordinarily noisy situation. With QManager, parents can remain seated in their cars and use their smartphones to sign their children out. When they put their signatures on the smartphone using QManager application, it is instantly received on the tablet that the school staff has for managing the dismissal queue. QManager gives the school staff a visual of the queue outside their school. It uses the internet connection and the GPS data to track the parents connected to the application and waiting outside the school. The visuals can be of great help as they give the school staff a clear idea of how the queue is building up outside the school and take quick action to get rid of the crowd. The additional features on QManager give more power to the school management to keep track of their students’ roll call and absenteeism. QManager generates detailed and easy-to-follow absenteeism, attendance, roll call, billing hour, etc. reports too. All the data being fed into the application is stored on QManager’s servers only after proper encryption for the security of the parents and the school staff. When schools have to dismiss their classes due to emergency situations, bad weather and other reasons, conventional methods don’t always work. On the other hand, QManager let’s school staff write emails, SMS and even push messages to get in touch with parents instantly. A single tap of a button sends the notification to all the parents that are stored in the database of the school. QManager solves a real-world problem that not only affects the health of the people who have to face it every day but can also result in irrevocable losses. Pricing makes the software even more accessible for schools of all sizes. Customers have the option to cancel the service when they want without attracting any cancelation penalties. More importantly, there is a 30-day trial available for schools to get a hang of the software and discover its benefits before signing up.